Gosh, life kind of took over for a moment (read : month! Eek!). I have been busy/ill/tired and have had no time or energy to write here for quite some time. Let's have a catch up! Firstly, Olive's weekly snaps. Olive Mae, 11 months (48 weeks) :: This particular week, Olive was very poorly, she had a temperature, wasn't sleeping or eating very much and it worried me a little. However I enjoyed the lovely sleepy sofa cuddles where she even drifted off snuggled into me for 10 minutes. 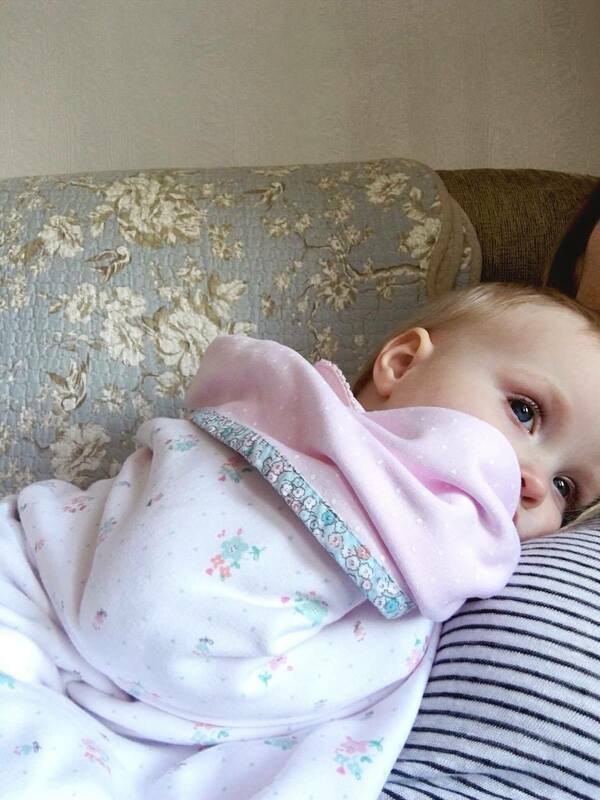 Though it was breaking my heart to see her unwell, she sure did melt it back together with the lovely cuddly moments. 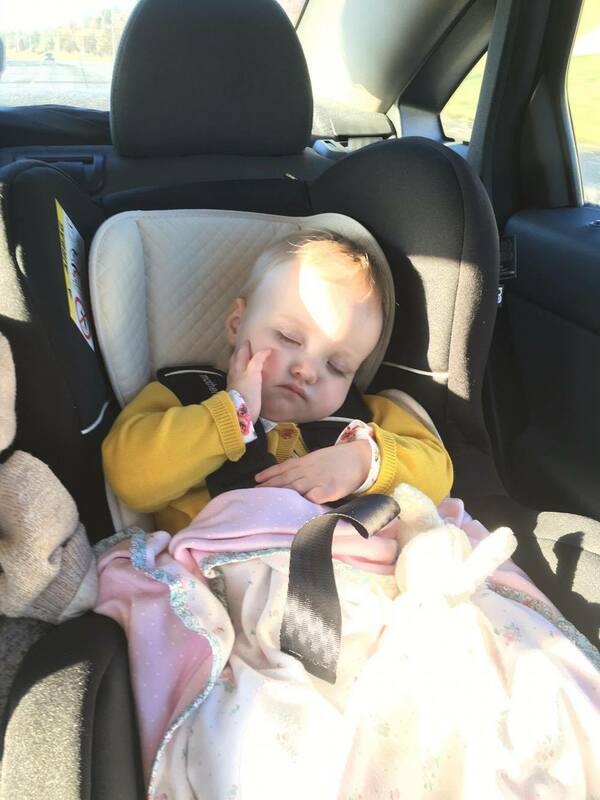 Olive Mae, 11 months (49 weeks) :: This week we travelled all the way to Scotland and back with my Mama. I was worried how Olive would be on the journey and on the back of her being poorly but she surprised me. She was so good and I'm pretty sure she caught up on some sleep during the trip- bless her. She was still quite clingy and wasn't eating very well (mainly toast and banana! ), but we made it work for us and had her snuggled up to me at nighttimes (which I secretly enjoyed alot!!). 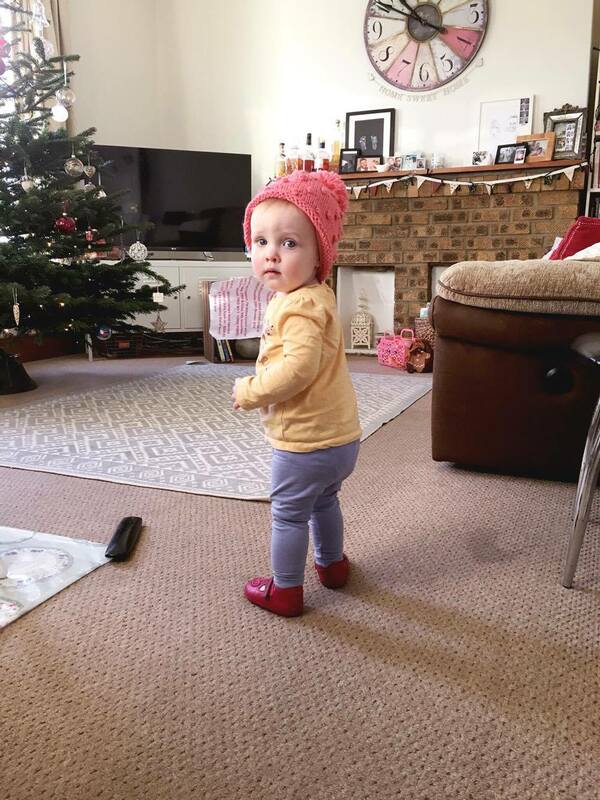 Olive Mae, 11 half months (50 weeks) :: Back from Scotland and ready for Christmas, we soon got into the festive spirit. Olive and I took a trip to the garden centre with my sister-in-law to check out the Christmas decorations and Olive was in twinkly light heaven. "Oh WOWW" at every shiny bauble and flashing fairy light. It was brilliant. 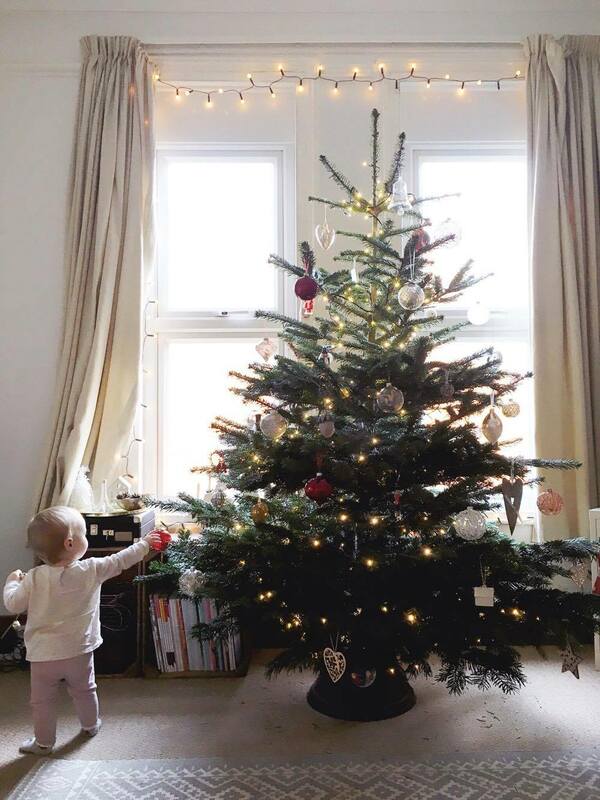 She also 'helped' decorate the tree by taking the decorations off and putting them back again! The moment we arrived back home, Olive completely gave up crawling altogether and took to walking everywhere instead. Let the adventures begin. Olive Mae, 11 half months (51 weeks) :: This little lady is making her Mama so proud. Using words like 'dog', 'cat', 'tea', 'duck, quack quack', 'ta', 'bath', 'pear', 'ball' and more - all in correct terms. I love her so much! She is so good at copying, and trying to speak and it makes me so so proud at how her development is coming on. She surprises me every day and hopefully one day she will put her cleverness to good use and save the world or something! Or whatever she wants. Olive Mae, One years old (12 months!!! 52 weeks!!!) 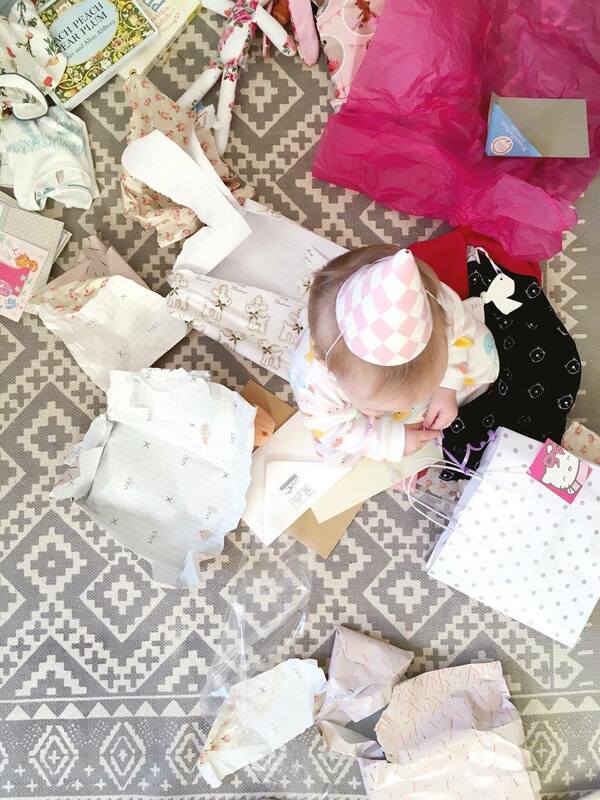 :: This little girl turned One and had the loveliest week. Full of family and not much napping meant that nighttime was easy. She slept brilliantly and obviously she was worn out from all the excitement. Olive tried her first piece of cake (homemade banana birthday cake), her first 'proper' biscuit and a tiny taste of chocolate. Obviously she loved them all! No surprises there. When you ask her how old she is, she points her finger up and says 'One'. I love how she has associated that question with the appropriate answer, even though it's unlikely she really understands. It was also Christmas week and so it was a whole week of late nights and surrounded by family. Her second Christmas and it was very different from last year. It was lovely. Olive decided to throw all of her yummy Christmas dinner on the floor but ate all of her uncle's homemade Christmas pudding - hmm. 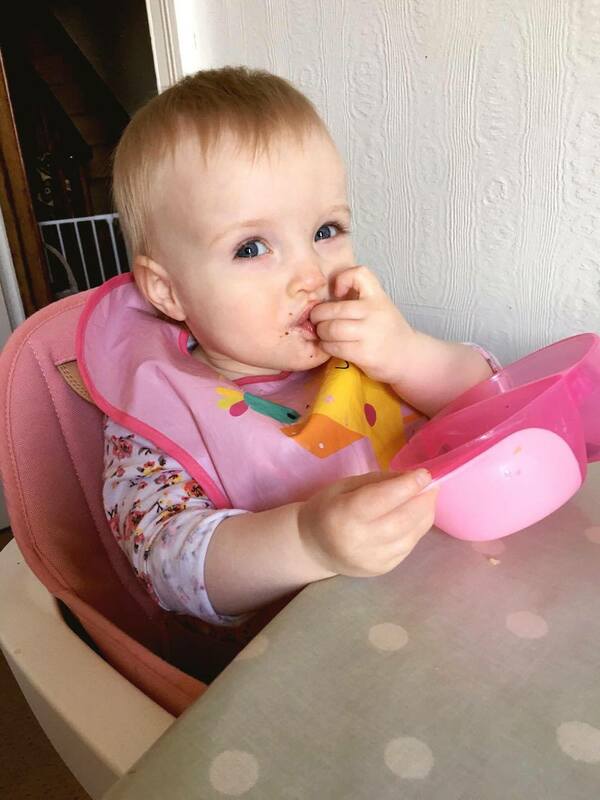 Olive Mae, One :: This week was for settling back into a routine but disrupting it with dropping the afternoon breastfeed and replacing it with a cup of cow's milk. Not quite an easy transition, so we are currently fighting nap time with kicks and hair pulls - turning one has been quite the challenge for this Mama. We have also been making the most of our time together before I return to work (part time thankfully) and playing with Olive's lovely new things and reading lots. Blissful. Oh and her new favourite thing - 'shaking her head and saying No' - Oh dear. Perhaps I shall be reading that Discipline book on my bookshelf after all. I can't believe she is one! She's so lovely! So adorable! Her little red shoes are so sweet!